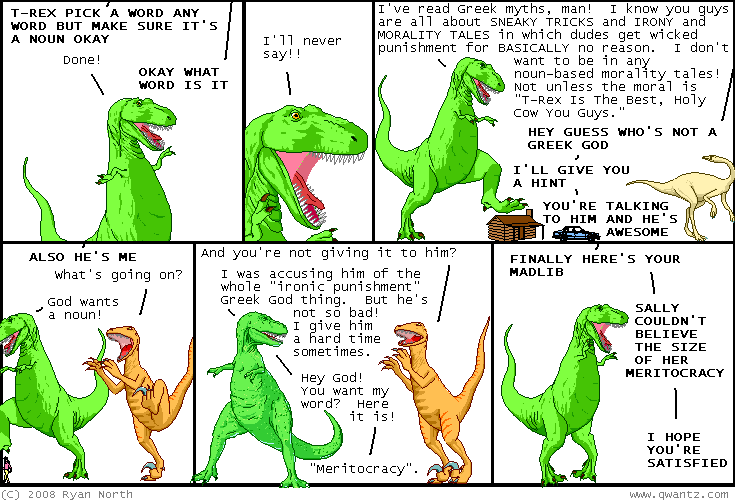 Dinosaur Comics - September 24th, 2008 - awesome fun times! September 24th, 2008: Man I keep forgetting to link to the guest comic I did for Thinkin' Lincoln! BUT NOT ANYMORE!! One year ago today: mr. tusks, i wrote a story about a tiny chef that you should read! i think you might find it just a... tiny bit interesting?